Approx. 50 TD’s Senators attended the information briefing throughout the day. Minister Jim Daly, Minister of State for Mental Health and Older People spoke at the event. He outlined the importance of Meals on Wheels Services across the country and he is pushing for this service to be delivered the length and breadth of the country. He answered questions and listened to issues from groups who provide various services to older people in the community. 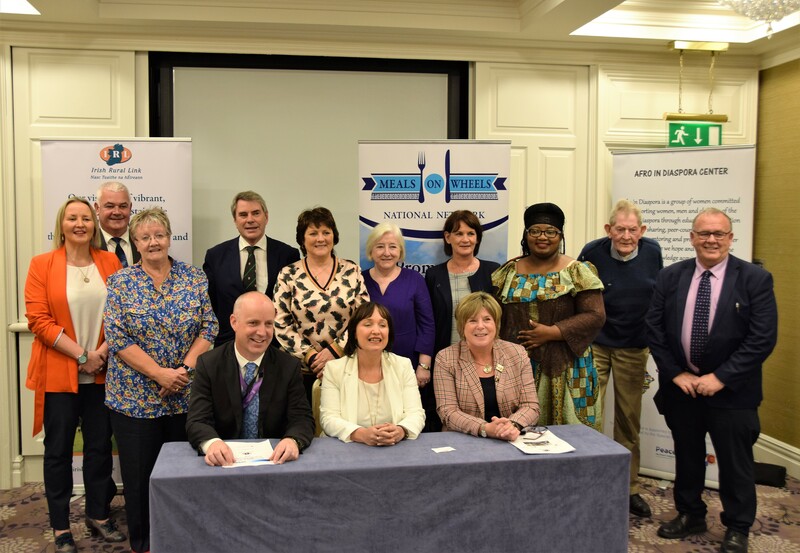 Some of the groups in attendance were Local Link representatives, Flexibus – Local Link Meath, Louth and Fingal, Longford Women’s Link, Africa Caribbean Diaspora Centre, Community Wetlands Forum and Meals on Wheels Network. Minister Denis Naughten, Minister for Communications, Climate Action and Environment also dropped by and spoke with Mary Keyes – Coordinator of Getting Citizens Online and IT Skills for Farmers computer programmes.